For a limited time, Disney’s Maleficent will be playing at the AMC Theater located at the Downtown Disney District of the Disneyland Resort. From October 24 through the 30, this film will be presented daily. 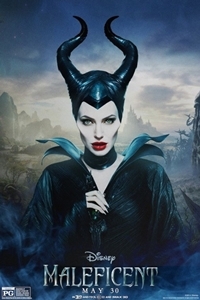 Discover the untold story of one of the greatest Disney villains; Maleficent! For showtimes, please visit the AMC website by clicking here. Maleficent will be hitting shelves on DVD and digital release this November 4.